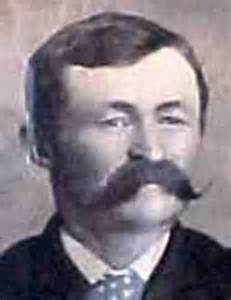 One of the earliest settlers in the Kiowa County area, George Weisbrod is fittingly remembered in the name of the hospital, which he helped establish. During his years in this area, Mr. Weisbrod often witnessed patients with serious illnesses sent by train to city hospitals, some arriving too late. 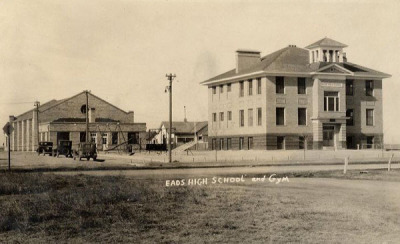 Upon his death in 1924, Mr. Weisbrod provided in his will a substantial amount of money and land to be set aside for the erection of a hospital in Eads. Weisbrod Memorial Hospital began taken patients on April 1, 1943. The entire building was not placed into service immediately, but was used as necessity required and as equipment became available. Donations by organizations and individuals supplied necessary equipment. A trust between the people of Kiowa County and the Weisbrod Estate Board was set up to last 99 years. The District Court and the Weisbrod Estate Board selected the first trustees of the hospital. 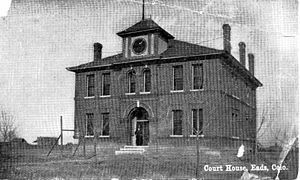 This board administered the hospital until 1965 when the new Kiowa County Hospital District Hospital was opened with a board of five (5) elected members. Both boards participate in the operation of the hosiptal, with trustees being appointed by the County Commisioners. The older hospital building was remodeled into a 9-bed nursing home, and a new wing was added to provide modern rooms, an isolated obstertrical wing, surgical and laboratory department. A new wing for the nursing home was bulit in 1970, all on land once owned and set aside by George Weisbrod.